If our research is to be believed (and why not? 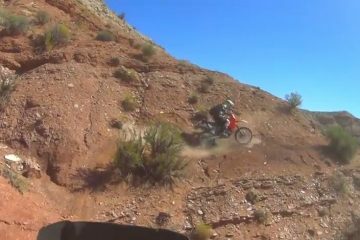 ), a major reason riders buy ABR is for ideas on where to go riding. Sure, the big long-distance trips fuel all our dreams and aspirations, but on a more practical level the UK articles prove as popular as any between the covers. That doesn’t surprise me. 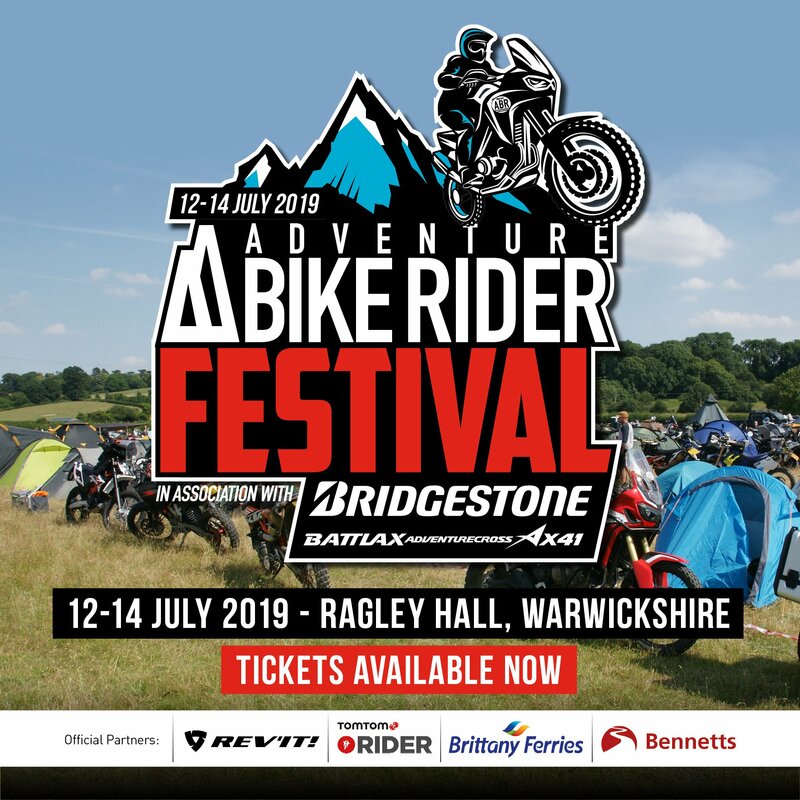 While we all may be passionate about our motorcycles and enjoy getting out there, having a specific purpose and expectation for a trip can add greatly to the enjoyment. Over the past few years I’ve taken quite a few trips over to Europe for the specific purpose of checking out both WW1 and WW2 sites. From Normandy to Poland and the Dolomites to Bastogne, I’ve gained huge pleasure from checking out the history and the locations. 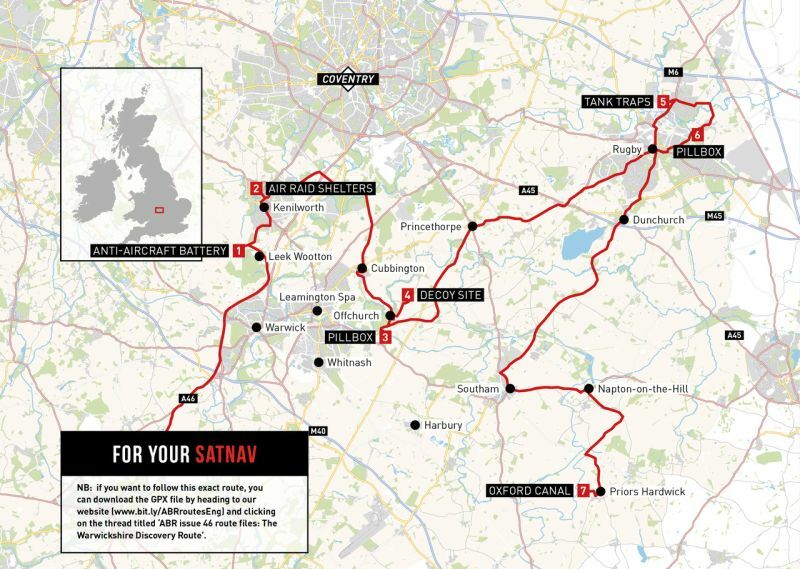 So, that got me thinking, what can I do this weekend, along similar lines and closer to home. With that in mind I started researching WW2 sites of interest in Warwickshire and came across an amazing discovery, the Pillbox Study Group (www.pillbox-study-group.org.uk). The website is a gold mine of information about Britain’s wartime defences, with an emphasis on the ‘stop lines’ constructed when a German invasion seemed inevitable. In 1940 the question was not ‘will the enemy come’, but ‘when’. Even in landlocked Warwickshire, a stop line was constructed based on the Oxford Canal and River Avon as defence lines against enemy heavy armour. In addition, Warwickshire protected the heavy industrialised cities of Coventry and Birmingham with many anti-aircraft sites. 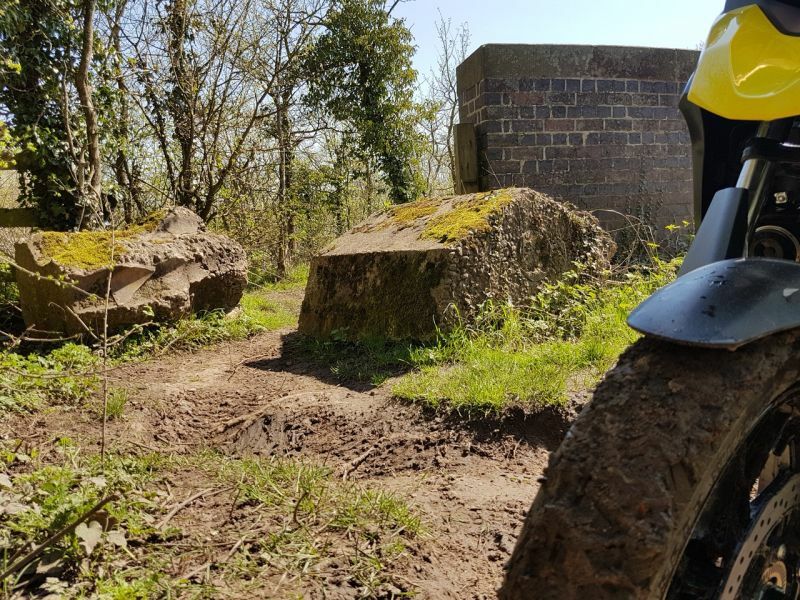 A quick check of the pillbox website and I’d worked out a route taking in seven sites in Warwickshire featuring anti-aircraft gun emplacements, pillboxes, tank traps and a decoy site. And here’s the good news, the pillbox website has information on sites and antiquities for every county in England, plus Wales and Scotland. 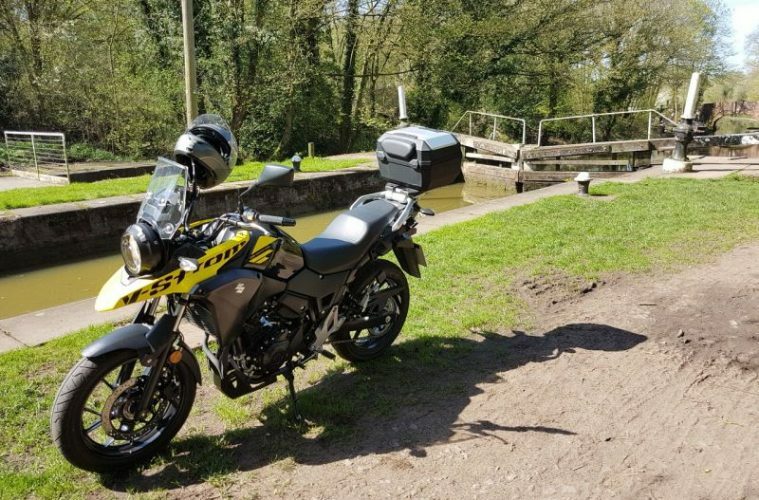 So, with the way points plotted in the TomTom, I loaded up the V-Strom 250 and set off in glorious weather from Stratford upon Avon towards the first site just south of Kenilworth. The site of the ant-aircraft battery is near Goodrest Farm, just to the south west of Kenilworth, off the Rouncil Road. I’d seen old photos of this site and expected to be wading through undergrowth and clambering over piles of scrap iron that had been dumped in the gun emplacements. As it happens, what a life-affirming visit this turned out to be. 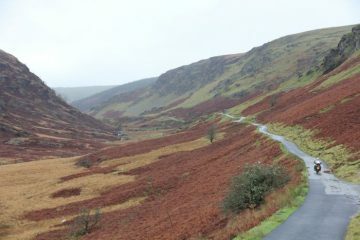 There’s a couple who are well into their 70s who own the land and have taken it upon themselves to preserve the site for the benefit of any visitors and school trips. The gun mountings and control centre have been cleared and cleaned up, the grass has been mowed and there are maps, info and photos to bring a visit to life. The couple are both a mine of information and very happy to take time and share it with visitors. A wonderful experience and an astonishingly well-preserved monument to Britain’s finest hours. The site was on the flightpath to the main arms factories in Coventry and back in 1940 it was the job of local teenage girls, members of the Auxiliary Territorial Services, to act as spotters for the Luftwaffe. There are pictures of these girls at the site and I was told the last survivor passed away only last year. 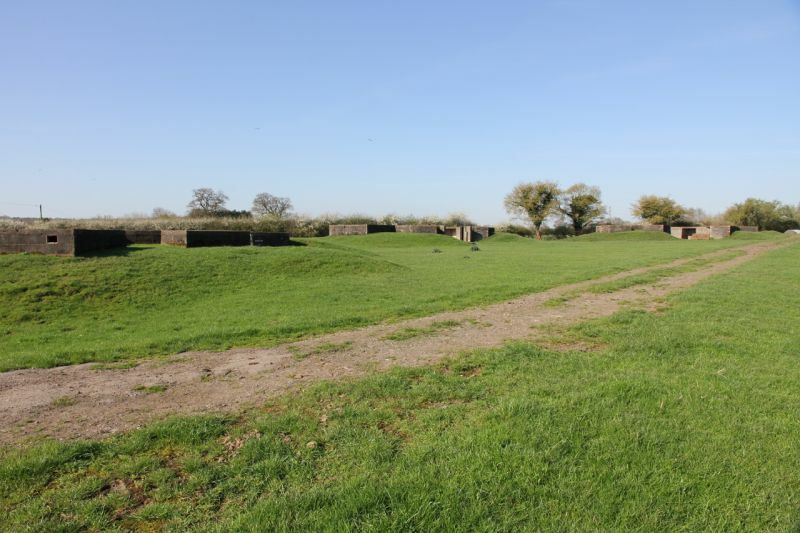 Originally, there were five heavy 3.7” anti-aircraft guns embedded in concrete and built-up mounds of earth for protection, though only four of the battlements still survive. The site also included ground layer radar, plus the operational control room, which is just below ground level. The control room is open and you’re able to stroll around the rooms, which have been decked out with a few photos and images from the war. Later in the war, the guns were moved from Kenilworth to the South Coast as the V1 threat became more pressing than any invasion. The site then became a prisoner of war camp, holding captured Germans and Italians. A fantastic find and it was with great expectations that I rode off to the next site just a few miles up the road in Kenilworth. As I rode up the main Warwick Road into the centre of Kenilworth, I was thinking of a story my mother had told me about one of her memories from the war years. She would have been about eight or nine when she was evacuated out of the Rhondda Valley in South Wales, which was being bombed almost on a nightly basis, mostly with incendiary devices. For some unknown reason, she and many others were evacuated to Luton, in Bedforshire, and stayed there for most of the war years. She can recall the air raid warnings going off many a time and having to run as fast as she could with her friends to the nearest designated air raid shelter. On one occasion, she was playing alone when the sirens went off and instead of running to the shelter, she sat on a wall and looked up at the sky to see what was happening. She recalls seeing the big German bombers flying over and smaller British fighter planes in pursuit, taking part in dog-fights. She stayed there watching until a passing policeman picked her up and took her to the nearest shelter. You can find the remains of the air raid shelters in Kenilworth on both sides of the Abbey Field Park, halfway along Forrest Road and Rosemary Hill. From the road, you can see the bricked-in entrance and on the top of the earth mounds you can find escape hatches. 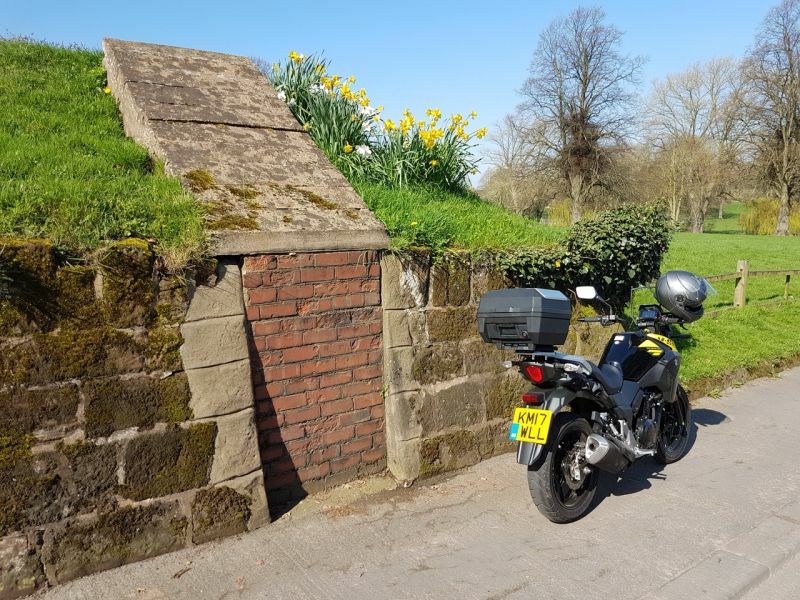 Compared to the first stop at the gun emplacements there’s not a lot to see, but with Kenilworth on that main flight path to the heavy armour factories in the Midlands, they are a reminder of what the times must have been like back then to find these shelters in the town centre. Radford Semele is just to the east of Leamington Spa and the setting for two features built on the Warwickshire stop line of 1940, which included the now disused LMS railway bridge and the Grand Union Canal (GUC). So, I crossed the lock, scrambled along a path through the woods and there it was on the railway embankment. 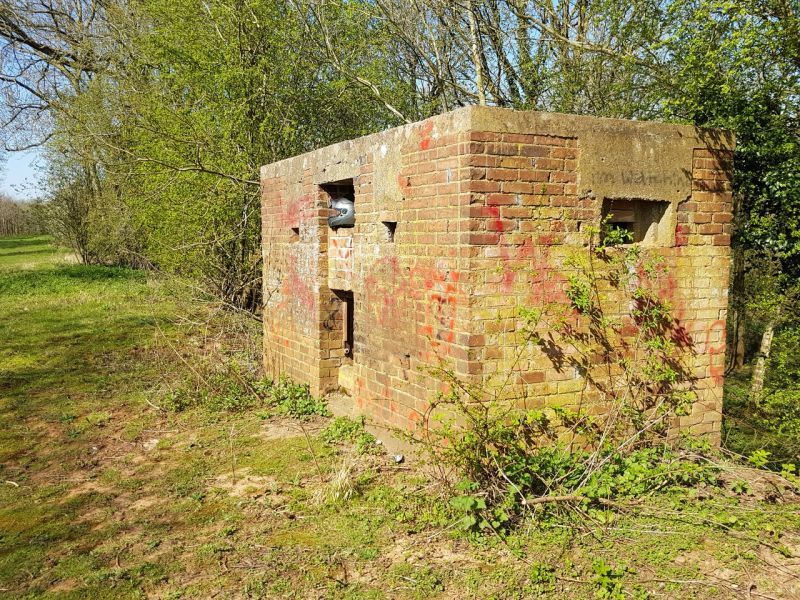 Apparently, it’s a type 24 pillbox and it’s now in the typical condition that a lot of these war artefacts can be found, covered in graffiti and left to decay. A couple of miles from Radford Semele and through the village of Offchurch I parked up in a private lane heading to Field Farm. There’s about a half-mile walk to the decoy site, which is covered in vegetation, but it’s still possible to squeeze in and view the two internal rooms. The building is what’s left of the control room, which would activate decoy distractions during an air raid, including lighting controlled fires to simulate urban bomb sites and a lighting display similar to the railway yards at Bagington, Coventry. From the decoy site it’s only a few miles to the upper section of the green lane between Ufton and Hunningham Hill. Where the trail passes over the disused railway bridge you can find a number of tank traps haphazardly scattered on the northern side of the bridge. I’d passed these lumps of concrete so many times without realising what they were. 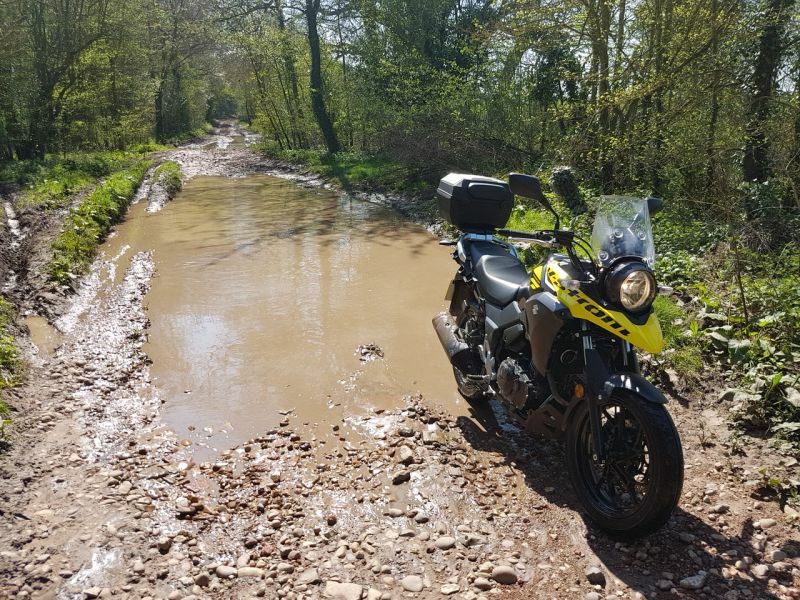 A word of caution, if you’re riding a big adventure bike without knobblies this green lane can be very tricky when wet, with deep puddles and ruts and it’s a proper mud fest. 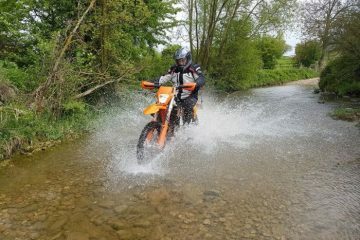 It was very entertaining on the V-Strom 250 with road tyres. If the air raid batteries near Kenilworth brought a smile to my face then the two sites I visited in Rugby brought me back down to earth. The concrete cylinder anti-tank defences in Brownsover Lane, just off the A246, were found in amongst a pile of fly-tipped rubbish. Apparently there used to be a lot of these circular tank traps piled up by the side of the lane, but recent housing development has seen these cleaned out. From Brownsover Lane I rode about five miles to Clifton-upon-Dunsmore to the site of a canal side Stent pillbox and once again progress was taking its toll. A Stent pillbox was the name given to prefabricated units built by a Scottish company Stent Precast Concrete Limited. The site of the pillbox is currently being excavated for a new housing development and the workers I talked to were of the view that the building was to be demolished. They were both surprised and saddened when I explained what it was and its place in our history. 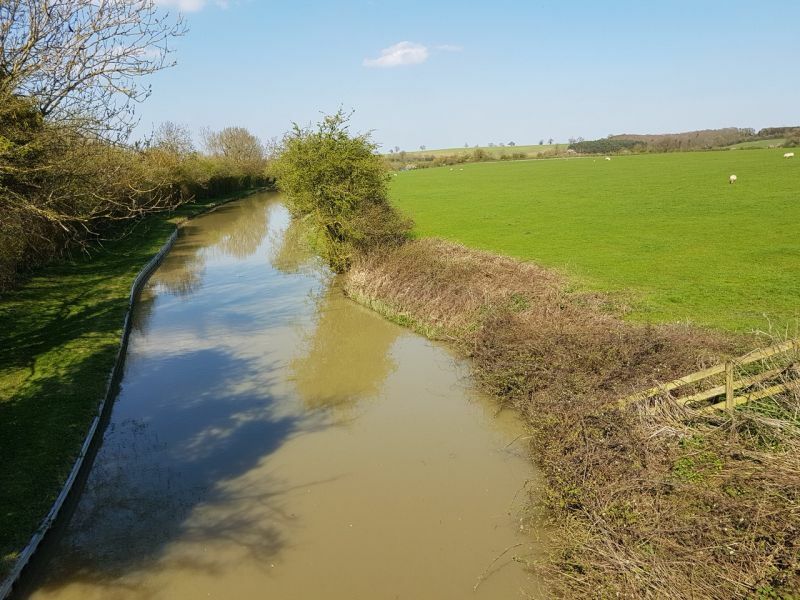 The ride down to Napton-on-the-Hill from Rugby was in glorious sunshine and I took in a green lane that started just after Dog Lane Fishery (nice café) and ends near the village of Marston Doles. Be warned, it’s rutted and very muddy when wet. 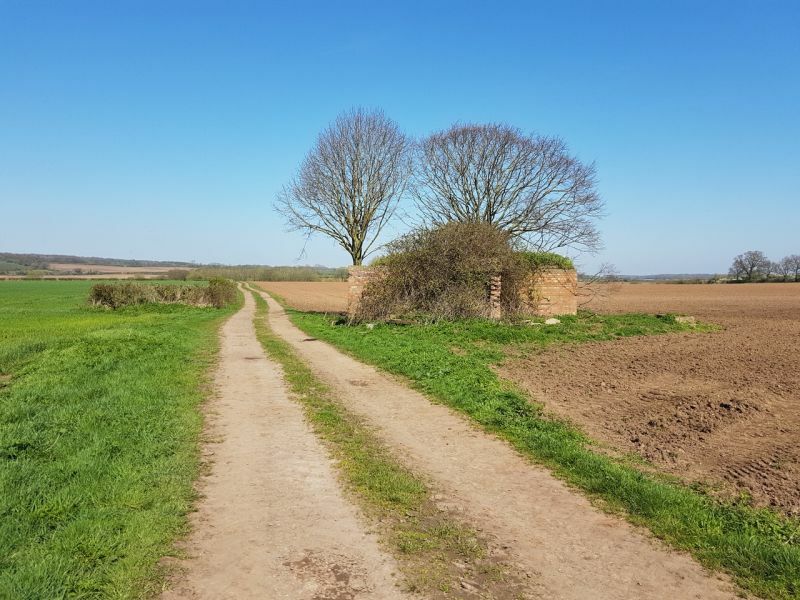 Moving on to Priors Hardwick, my plan was to ride the green lane from the village to its terminus at a bridge crossing the Oxford Canal, and where I’d been told a pillbox was sited, but was in danger of slipping into the water. The green lane isn’t difficult, but holds a lot of water and gets quite muddy after heavy rain with a few deep-water splashes and many gates to open and close. As it happened, the pillbox must have been removed or slipped into the canal. However, there are three hexagonal pillboxes in reasonably good condition on the canal towpath if you walk back towards Napton. This section of the Oxford Canal was another stop line in WW2. All in all, it was a fantastic day out discovering sites and artefacts that I’d passed on many occasions without ever knowing they were there or what they were. Want to win a TomTom Rider 550 SatNav? 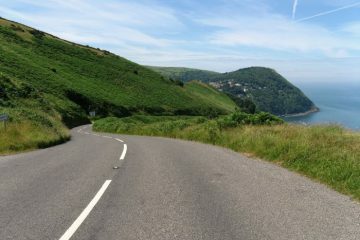 Discover more incredible routes and attractions in the UK with the new TomTom Rider 550. 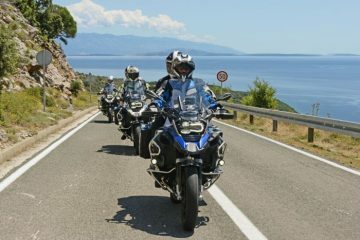 Anyone who purchases the Rider 550 will have exclusive access to some of the world’s best curated routes, while the Winding Roads and Hilly Roads settings will help you enjoy the most thrilling ride no matter where you’re going. It can be updated over Wi-Fi, has a glove-friendly touch screen and is now compatible with Apple’s Siri or Google Now, meaning you can make hands-free calls through it. It comes with lifetime maps, and it’ll even plan a different return route for you after you’ve reached your desired destination, ensuring no boring ride along the same roads. Head to www.tranam.co.uk to find out more. Luckily for you, we’ve teamed up with TomTom to give you the chance to win a brand-new Rider 550 worth £399.99. 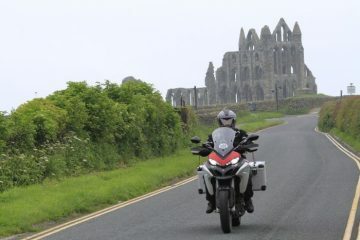 To enter, head to www.adventurebikerider.com/win-tomtom-rider-550.